If you have been involved in a hit and run accident in Maryland, you want to know what your legal rights are. This page explains how insurance claims work in hit-and-run car and phantom vehicle car accidents in Maryland. It is illegal in Maryland, of course, for a driver to flee the scene of a motor vehicle collision if the driver was potentially involved in the crash. In spite of these laws, people panic and they flee the scene. There are also cases where a driver causes an accident but never sees the impact of his the negligence. (A perfect example is cutting someone off that sets off chain of events that leads to a crash.) The questions is: do you have a claim when this happens? 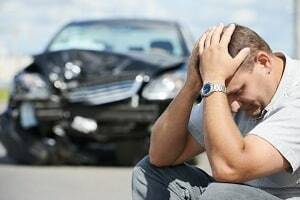 How to make an insurance claim after a hit and run accident? Thankfully, there is a mechanism in Maryland law to recover your damages in these cases. How? When you (or whoever it was that was paying the insurance on the vehicle you were driving) pay our automobile insurance every month, one of the things you are paying for is insurance coverage in the event someone hits you or pushes you off the road and flees the scene before you identity them. 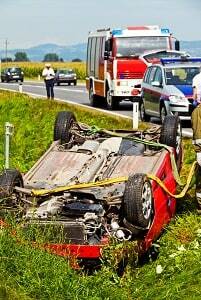 It is one of the protections provided in your uninsured motorist coverage. The law assumes, for the purposes of your claim, that the at-fault driver who fled the scene had no insurance. Because for all practical purposes for you, he didn't. What happens here is that the insurance company steps in and, in every way that matters, becomes the insurance company for the at-fault driver. This pits you against your own insurance company which leaves people with a bad taste in their mouths. But it beats the alternative -- having no way to get compensation for your loss because there is not one to bring an action against. Clearly, you need to have a viable tort claim against the responsible party and could have obtained a favorable judgment had the at-fault driver been found. So you still have to establish that the driver negligently caused or is otherwise legally responsible for the accident. The insurance company can maintain all of the defenses that the at-fault driver would have had if they had been sued. In sum, you are legally entitled to money damages under Maryland law if you would have had a viable tort claim against the true at-fault driver if that driver had been found. The amount of the money damages will be exactly what you would have recovered from the at-fault driver at trial if he had been sued. After all of the legal maneuvering and posturing, it usually comes down to a dispute as to how much the plaintiffs' injuries are worth. Often we agree with the insurance company on every single aspect of the case except the real issue: what the claim is worth. As alluded to above, calling these claims "hit-and-run" is too narrow. Physical contact with the at-fault vehicle is not required. These are often called "phantom vehicle" cases. The classic example is when another driver forces you off the road or cuts you off, causing a collision. Our law firm has many of these types of claims. In a few of these cases, we ultimately believed the at-fault driver never knew they had caused an accident. They never looked back to see the consequences of their mistake. The burden of proof still rests with the victim in these claims. The jury decides whether the victim has proved that it is more likely than not that the crash was proximately caused by the negligence of the driver of the phantom vehicle. But these cases are generally relatively easy to prove. The witnesses are usually the victims and the witnesses. The person who fled the scene of the accident is not going to be there to defend himself. So usually it is the word of one or more witnesses against none. Below is a listing of some sample jury verdicts and out-of-court settlements in hit-and-run motor vehicle accident cases in Maryland and around the country. These are both good and not-so-good results. Either way, keep in mind that every case is decided, in the end, on the merits of that claim. There are so many different variables involved in each claim. Making things even more complicated, if you try the exact same case 10 different ways, you will get 10 different results. So why even make this information available? We still think they are instructive - with other sources of information - in getting an idea of the reasonable range of probable values in certain types of cases. April 2014, Florida: $2,000,000 Settlement: After abandoning their malfunctioning vehicle on Interstate 95, a young couple went walking along State Road 44 in New Smyra Beach to find assistance. They were stuck and killed by a plumbing van that sped off without hesitation, leaving the two to die in the grass along the shoulder. Eventually, the driver was found and arrested for leaving the scene of a fatal accident, and driving with a suspended license. The families of the couple sued the driver and his employer for negligence. Plaintiffs claimed the driver was negligent in the operation of his vehicle and his employer was vicariously liable for his actions. July 2013, California: $35,000 Settlement: A 31 year-old student was riding her bike along Friars Road in San Diego when she was struck by a hit-and-run vehicle. She was taken by ambulance to a local emergency room where she was treated for soft-tissue and neck strains as well as back and shoulder injuries. Eyewitnesses were able to identify the license place and the woman sued the owner of the vehicle for negligence. Defendant denied any involvement in the hit-and-run accident and the extent of Plaintiff’s injuries, which she claimed to be receiving treatment for at the time of suit. Plaintiff agreed to accept the $35,000 offer from Defendant's insurer, American Commerce Insurance Co.
February 2012, Maryland: $108,502 Verdict: A collision occurred when a tailgating driver attempted to pass on the left hand side of a left turning vehicle. He then decided to just keep driving a few yards, jump out of the car, and run away on foot, leaving the other driver, a 40 year-old woman, injured and confused. She suffered cervical disc herniations requiring chiropractic and physical therapy treatment, as well as temporomandibular joint dysfunction (TMJ) requiring her to wear a mouth guard for the remainder of her life. She was ultimately assigned a 19% whole body impairment. Fortunately, she was able to get the driver’s license plate number before the at fault driver spinelessly drove away. She sued the owner of the vehicle claiming that the owner was also the driver and improperly tried to pass her while making an illegal lane change. She also sought damages from her uninsured motorist coverage with Safeco. Defendant denied driving the vehicle at the time of the accident, claiming the car was being driven by someone who had either stolen or repossessed it. A Charles County jury found the owner of the vehicle liable and awarded $108,502. May 2012, Maryland: $100,000 Verdict: A 70 year-old homemaker was attempting to cross Eastern Boulevard one morning when she was struck and killed by a vehicle. The driver made no attempt to stop and immediately fled the scene. The guilt eventually got to the driver who decided to turn himself in to the police. His insurance provider, Progressive, settled with her estate for its $20,000 policy limit. The estate then sought damages from the underinsured motorist carrier, State Farm. Both parties acknowledged that the woman was not in the crosswalk at the time of the accident, but Plaintiffs claimed that the driver should have been able to avoid the impact. Defendant claimed contributory negligence. A Baltimore County jury found for the Plaintiff with a $100,000 verdict. November 2011, Maryland: $30,000 Verdict: A woman was stopped at the intersection of Route 228 and Indian Head Highway when she was struck in the rear. Before she could process what happened, the at fault driver fled the scene. Luckily, she was able to take down the license plate number. She suffered neck and back injuries that included a bulging disc and radiating pain in her right leg. The woman sued the owner of the vehicle and her uninsured motorist provider, State Farm. Defendant owner claimed that he was not the driver of the vehicle and had sold it four days prior to the accident. The “new owner” was never located and a Prince George’s County jury found the owner liable for the collision with a $30,000 verdict. Our law firm handles motor vehicle accident cases. If you want to discuss your potential Maryland uninsured motorist claim with an experienced attorney, call 800-553-8082 or get a free on line internet consultation.